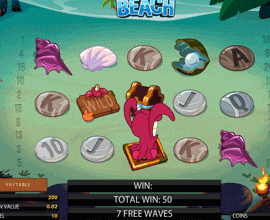 Relax and bask in the sun on the reels of the Beach slot machine. With a crazy wild feature and a €40,000 jackpot, you’ll want to dive into this game. 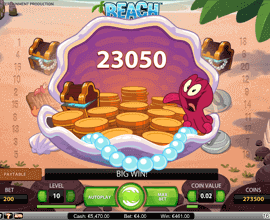 Have some fun in the sun on the reels of the Beach slot machine. 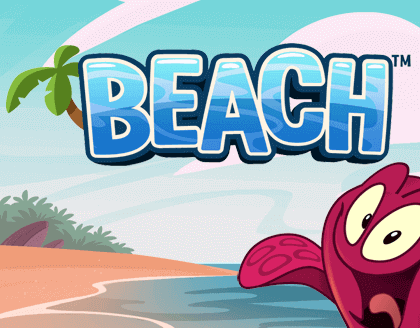 This topical and tropical game has some exotic wins waiting for you in the main game with its octopus wild multiplier, and a super free spin bonus round. 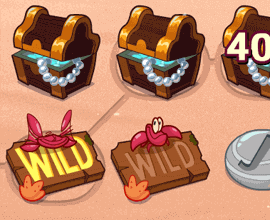 Wild Multiplier – the Octopus wild symbol not only doubles the value of any combination it helps complete, but it will also re-arrange symbols on adjacent reels to make sure you hit the biggest possible winning combination. Free Spin Round – hit 3, 4 or 5 bonus scatters to earn 8, 16, or 24 bonus spins respectively. 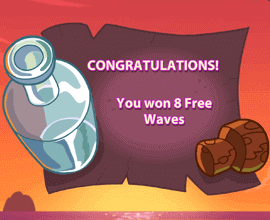 During the bonus round land more scatters to add more free spins to your count.